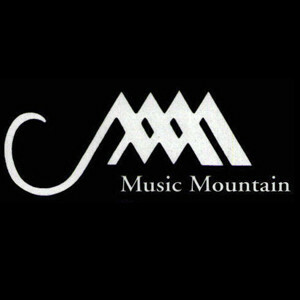 Music Mountain Celebrates 90 Years | Kirshbaum Associates Inc. The venerable, Connecticut-based Music Mountain concert series has announced its full 2019 summer season comprising two distinct series. Marking 90 continuous years of presenting outstanding artists and beloved repertoire to East Coast concertgoers, Music Mountain is now the oldest running chamber music series in the nation, which now features the Chamber Music Concerts series and Twilight Series. Founded by Jacques Gordon in 1930 and directed by his son, Nicholas, for 45 years until his passing in 2017, Music Mountain is housed in the idyllic Falls Village community in Northern Connecticut, where the 355-seat Gordon Hall remains at the heart of the campus. Called “an acoustical marvel” by Nick Gordon, Gordon Hall’s unique construction, made to mimic the curvature of the belly of a violin, has long been the pinnacle of Music Mountain’s stunning natural aesthetic. “It’s an extraordinary place to hear a concert. It is both spiritual and beautiful,” said Mr. Gordon Jr. Opening on June 9 with a special benefit concert and reception to celebrate this milestone year, globally-renowned pianist Peter Serkin joins violinist Alexi Kenney, cellist Fred Sherry, and clarinetist Kristyna Petišková in the Music Mountain debut of Schönberg’s Verklärte Nacht (Transfigured Night), arranged by Eduard Steuermann, as well as Brahms’s A Minor Clarinet Trio and Beethoven’s “Ghost” piano trio. Additional season highlights include performances from the Escher, Ariel, Harlem, Emerson, St. Petersburg, Daedalus, Dover, and Juilliard String Quartets, as well as the 30th anniversary return of the Shanghai Quartet. Acclaimed soloists include clarinetist Oskar Espina-Ruiz, pianists Victoria Schwartzman, Stewart Goodyear and Tanya Bannister, cellist Paul Katz, and many of the finest chamber musicians of our day. On June 15, the Twilight Series, which reflects the diversity and versatility of artistic programming at Music Mountain, opens with a vibrant performance of the Gabriel Alegria Afro-Peruvian Sextet, with additional highlights including the New York Gilbert & Sullivan Players, the New Black Eagle, Wolverine, and Galvanized Jazz Bands, cabaret masters Barbara Fasano and Eric Comstock, and many others. The sizzling dance music of the jazz age: from the Charleston to the Two-Step and the Fox Trot. The very best in New Orleans Jazz, Gospel and Blues. Music Mountain’s primary mission is the performance and teaching of the string quartet. Founded in 1930, Music Mountain is the oldest continuous summer music festival in the United States. It all began as the unique vision of Jacques Gordon, the Chicago Symphony concertmaster from 1921-1930 and the founding first violinist of the Gordon String Quartet, one of the leading quartets of its time. Nicholas Gordon, son of Jacques Gordon, led Music Mountain from 1974 until his death in 2017. Oskar Espina-Ruiz was appointed artistic director in 2016 and worked with Mr. Gordon for a year. Today, Mr. Espina-Ruiz and Music Mountain’s dedicated board of directors steer this national treasure. Our vision for the future is focused on the commitment to chamber music and the string quartet while expanding our educational, residency and concert programs providing a range of musical experiences to the community. The buildings at Music Mountain form a well-designed community in the Colonial Revival style. They were built by Sears, Roebuck & Company’s pre-fabricated housing division and are listed on the National Register of Historic Places. The centerpiece of the Music Mountain campus is air-conditioned Gordon Hall, one of the great, intimate concert halls of this country. Designed to be the analogue of the violin with features mimicking the violin’s form and inner structure, the sound is robust, full bodied and resonant. He has recorded for the Bridge, Kobaltone and Prion labels, receiving high critical acclaim by fellow clarinetists Richard Stoltzman and Charles Neidich for his solo recording “Julián Menéndez Rediscovered.” He has been described by the press as a “masterful soloist” and a “highly expressive” clarinetist. He holds a DMA from Stony Brook University, where his major teachers were Charles Neidich and Ayako Oshima.